We are proud to be partnered with the following leading suppliers of technology and software solutions for estate agents. 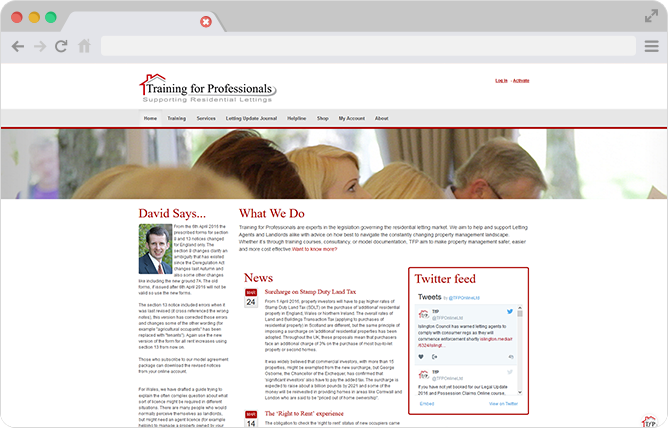 Our partnership with Training for Professionals means that your PCHomes subscription comes with a FREE, comprehensive suite of legally compliant letters and documents for landlords, tenants and agents. We include tenancy agreements, terms of business, notices including Section 8 and Section 21s, guarantor agreements and specialist clauses. These have been designed and approved by TFP's dedicated team of property solicitors to ensure that all of your paperwork remains legal. 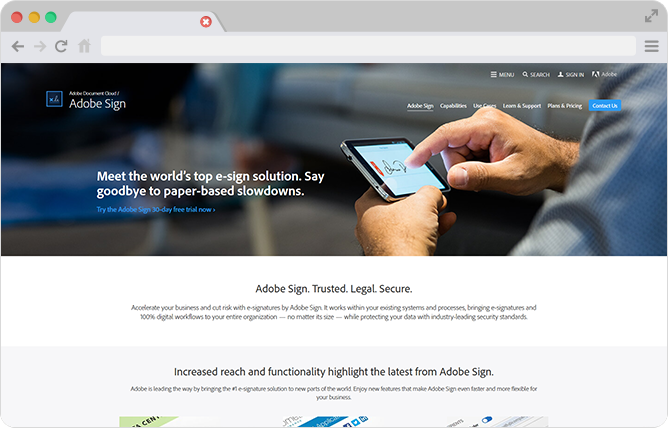 Bringing your business into the 21st century with Adobe Sign. Fully integrated functionality that enables all your landlords and tenants, purchasers and vendors to electronically sign documents without the need to print them out first or to download any additional software. The free and comprehensive PCHomes TFP letter suite includes this legally sound method of conducting business transactions remotely saving time, petrol and paper. The recipient clicks to sign or taps a touch enabled device and then returns the document to the sender via email. This is ideal as "Proof of Delivery" for all important documents which will be stored in your Adobe control panel. 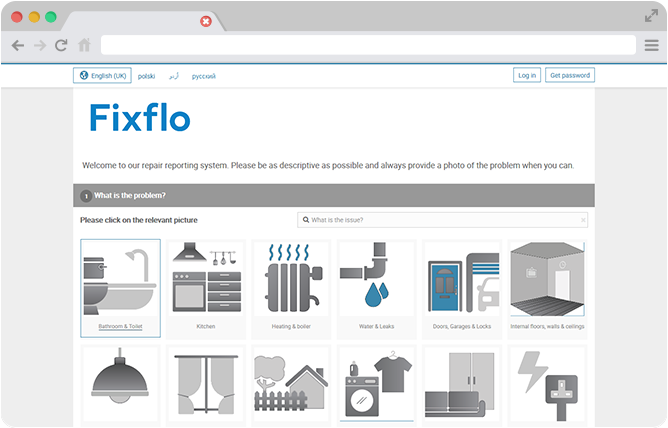 Estates IT is delighted to be partnered with Fixflo, a fully customisable, intuitive repairs reporting and management tool, designed specifically for the rental property market. Using simple pictures, tenants can report repairs in seconds without even picking up the phone, and also get step-by-step instructions to repair those items that are their responsibility. This minimises unnecessary call outs and charges to your landlords. Language barriers no longer present a problem as Fixflo provides full translation in over 30 languages. 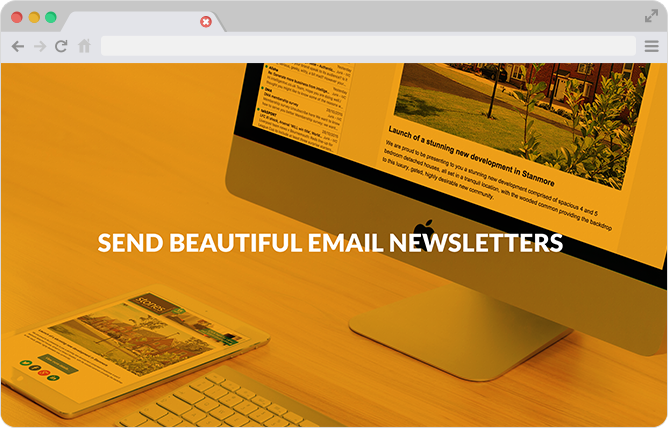 Growth News is revolutionary email marketing software that has a direct integration into Estates IT software making it easy to send newsletters to your contacts. It requires no technical or design skills and offers great features such as mobile responsive emails, a drag and drop designer, fresh industry content every month and pre-designed marketing graphics. 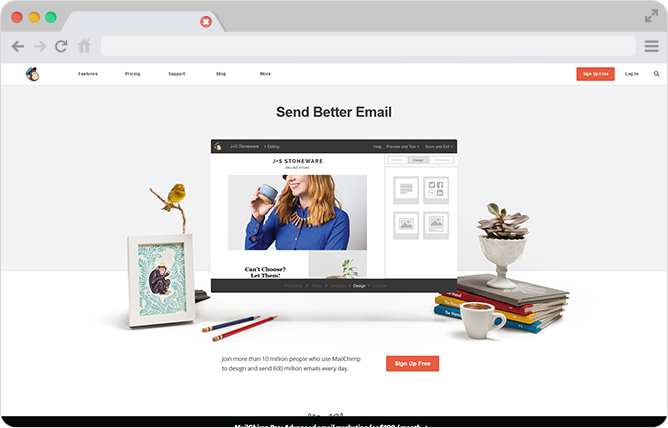 MailChimp are one of the market leaders in direct email marketing and are used by more than 10 million people and companies. MailChimp's robust marketing automation allows you to seamlessly create and schedule targeted emails to get to the right people at the right time. Target customers based on behaviour, preferences, and much more, and when you're finished, you can get in-depth reporting insights to give you valuable statistical information and improve your campaign effectiveness. 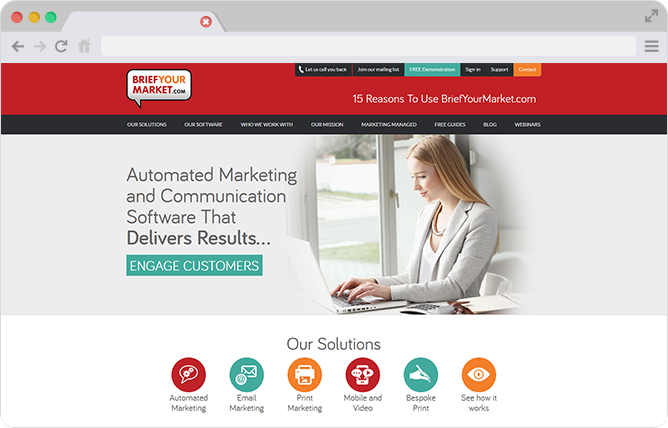 Estates IT have joined forces with Brief Your Market a leading company in marketing solutions. Utilising your existing PCHomes data, Brief Your Market can seamlessly generate targeted marketing material for any property, street, town or geographical area you require. Using key demographics you can easily target prospects with highly personalised mailshots for less than the cost of a postage stamp. Spark Energy are the only energy company in the UK to specialise in the lettings sector and have been supplying gas and electricity to the rental property market since 2008. Today they work with some of the UK's top letting agents and to date have served in excess of 350,000 tenants and homeowners. 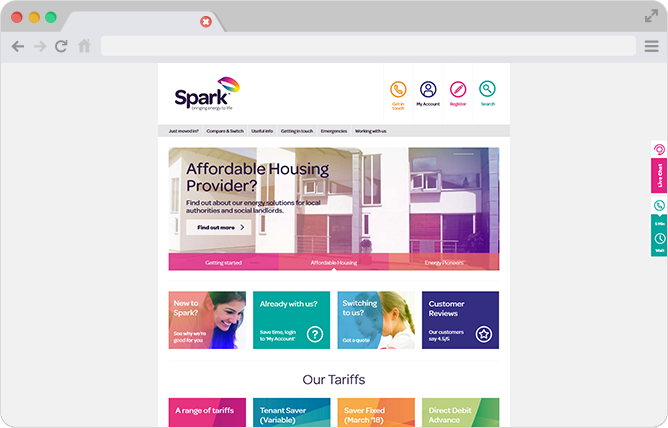 Estates IT have partnered up with Spark Energy to provide you with a one stop energy solution for you and your tenants. 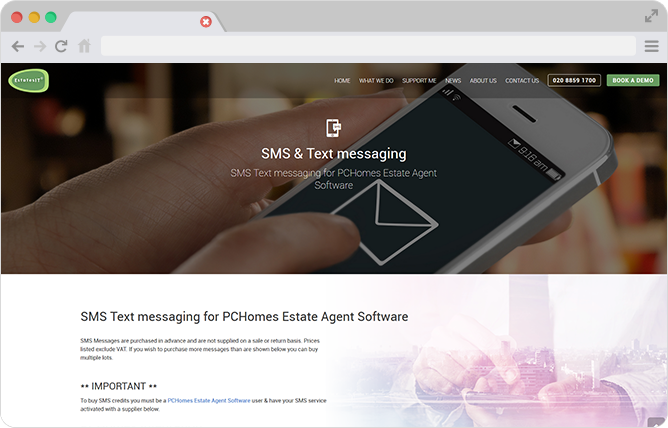 As part of your PCHomes Estate Agent Software package you can select to include a Postcode and Address Lookup module. These modules use live, up to date data and allow you to simply type in a postcode and the address is found and filled in for you. Or you can choose options to find a postcode from a street name or partial address. 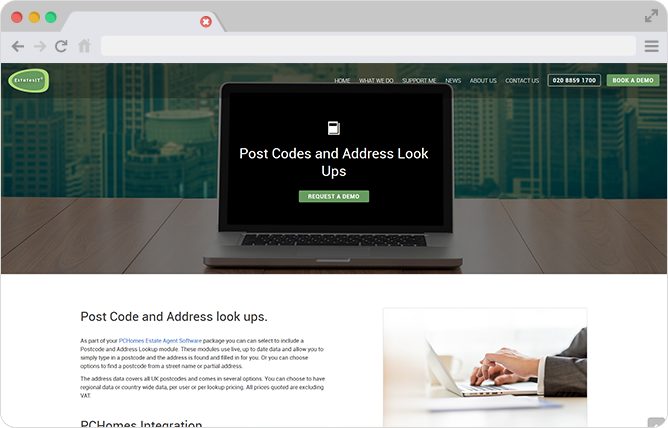 The address data covers all UK postcodes and comes in several options. You can choose to have regional data or country wide data, per user or per lookup pricing. We all know how well SMS texting works for confirming your dentist appointment or what time your delivery will arrive at your house. SMS is a great way of achieving simple multi-channel communication. Lots of Estate Agents are using this media for appointment confirmation (e.g. Valuations & Viewings) directly from PCHomes as well as for marketing such as matching emails. Estates IT have partnered with a couple of SMS providers so that you can text directly from your system saving you time and money. Have you ever wondered why you are seeing minimal return from your marketing spend? No matter how good your website, if there is no way to convert traffic the number of leads you generate will be consistently low. 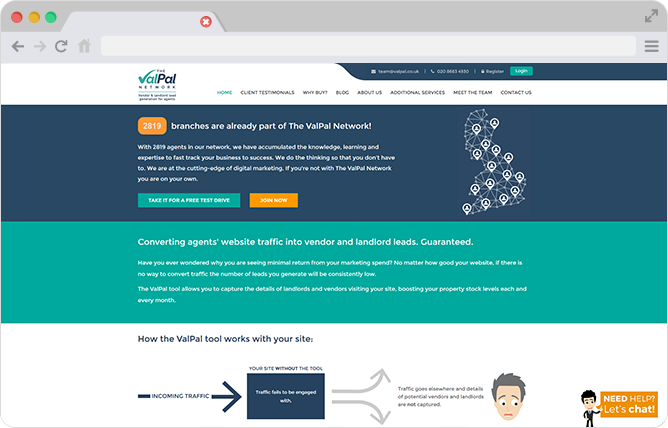 The ValPal tool allows you to capture the details of landlords and vendors visiting your site, boosting your property stock levels each and every month. Estates IT are Microsoft silver partners and we can configure, migrate and manage your email infrastructure. 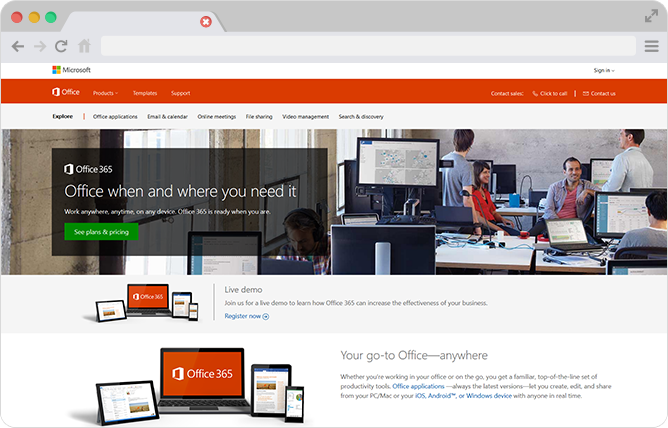 Microsoft Office 365 has revolutionised the way you use Microsoft Office products. It provides seamless access on mobile devices, tablets and desktops anywhere and anytime. There is ample storage so you can manage your data easily and in real time. Everything is stored on the Cloud so you can collaborate and share content, calendars and files with other users both inside and outside your company. Mailboxes can be accessed from multiple devices at the same time, allowing access in your desktop, tablet and phone simultaneously. 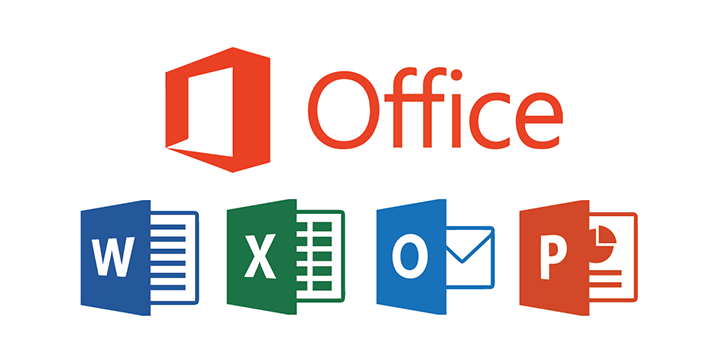 All PCHomes Plus users are supplied with Microsoft Office including Word, Excel, PowerPoint and Outlook. No need to purchase your own Microsoft license, your subscription with PCHomes Plus comes complete with a full unrestricted copy of Microsoft Office with full functionality allowing you the flexibility to create, share and collaborate from anywhere, at any time.